New to the city? We would love to share our city’s unique features and history with you! The city of Marietta is located in the heart of Washington County in southeast Ohio at the confluence of the Muskingum and Ohio Rivers. Celebrating its 226th birthday this year, Marietta was originally founded as the first settlement in the Northwest Territory. Today, Marietta is the leading marketplace in Southeastern Ohio, but it still bears the imprint of the Ohio Company of Associates work. Trees border quiet brick streets lined with beautiful Victorian homes. Friends meet in parks and commons along the river. 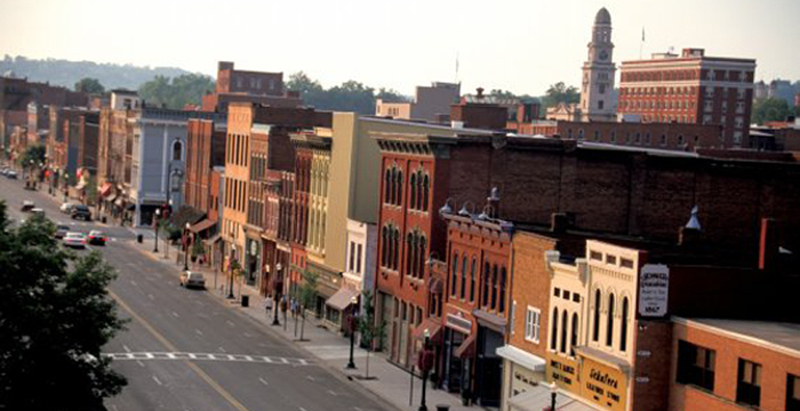 Marietta is also Ohio’s newest Main Street Community, a proud achievement for our thriving downtown. Marietta was recently featured as the 6th Best Small Town to Visit in 2014 in Smithsonian Magazine which was reposted on Huffington Post’s Travel site. The city was also featured in Families First Magazine as a vacation destination.